Living Sports Sports team of the year award…. A while ago I copy and pasted a news article about the Anglia Ruskin Judo team winning the Living sports Sports team of the year award and I started by suggesting I planned to blog with more details soon, so here are the details, a little later than expected but here they are! The way the sports awards work is that anyone can nominate in any of the categories (athletes of year, team of the year etc) and then a panel sit and decide who should win and be runner up in each category. Living sports is multi sport and covers Cambridge and Peterborough. So how does this win us an award? Well you could put it down to medals, we have won the men’s team competition at the British Universities and Colleges Championships for the last three consecutive years, but actually it is much more than that. It is more about the intwined nature of these elements and how these can be used as an athlete centred approach to athlete development. I will explain….. Imagine a child starting judo in our community programme, she could learn judo throughout her life and stay within this structure regardless of whether she wishes to be a competitive or recreational judoka. If she wanted to become a competitive player at age 16 years she could train up 15hrs per week alongside her education, at 18yo she could train 20hrs per week alongside an undergraduate degree. Whilst doing her undergraduate course and training full-time we have plenty of ways to support her. Our full-time athletes run our community programme (if they want to be involved) and we put them on a level 1 coaching course in year 1 so they can become an assistant coach, paid £10 per session. In year 2 the do their level 2 coaching award and then lead the community sessions with an assistant coach, this is paid at £20 per session. Doing this means we can ensure quality coaching and our athletes earn more money per hour than working in tesco or somewhere so it is more economical with their time. So far we have only considered three elements, full-time training, AASE and the community programme. The others are also closely linked though. The research programme provides something after their undergraduate course (i.e. they could do post grad study or research) and more importantly it also informs what we do. Not only our own research but also following what others are doing, for example how many British universities do you think were represented at the most recent judo research symposium in Rio? That’s correct, just one! And we presented five pieces of research there, I think more than any other single university. Our athletes all get physiological testing through the research programme. The EJU coaching awards also help our athletes. This course has many guest lecturers including many world and Olympic champions. 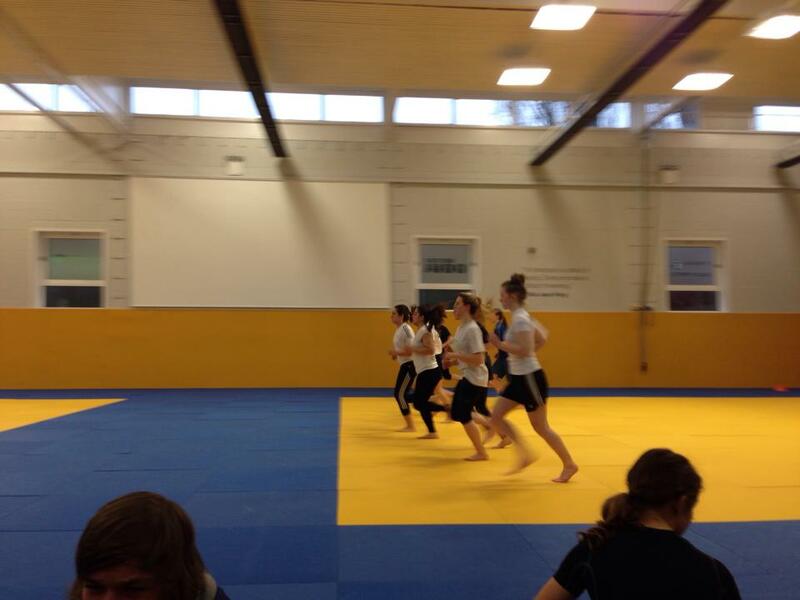 Our full-time athletes and AASE players get to attend these mat sessions. There is also fantastic networking on this course, we can provided training camps pretty much for free (other than the flight) in Japan, Romania, Germany, Turkey, Finland, Belgium and many more countries. Anyway, I have waffled enough! This programme is only four years old and is growing all the time. There is more information at http://www.anglia.ac.uk/judo or you can email judo@anglia.ac.uk for more information. If you have any ideas on how we might strengthen the programme please add them to the comments or email us.